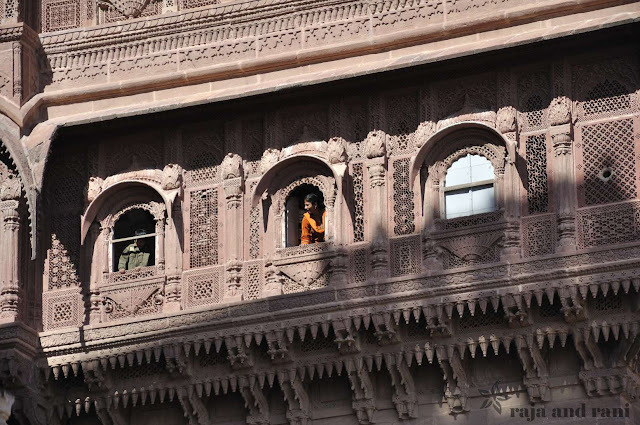 After arriving in Jodhpur very late last night, today we had a lie in and then headed out to explore the magnificent Mehrangarh Fort. 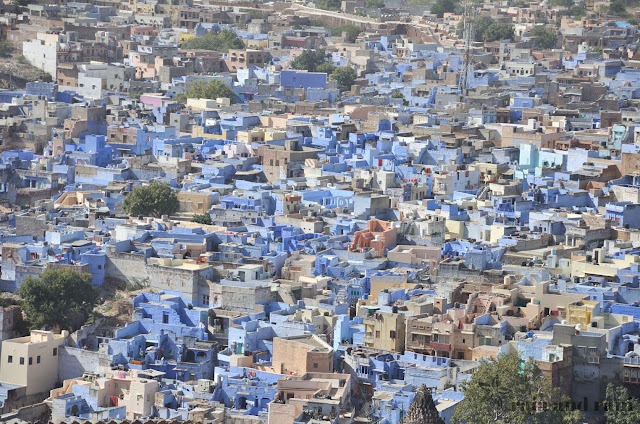 The fort sits perched on top of a rocky ridge overlooking the brilliant blue city and is still run by the present Maharaja of Jodhpur. The fort is definitely one of Rajastan’s finest - huge, imposing walls and winding paths, all chiselled from the rock the fort stands on. The fort has seven gates and as you enter the first, you can still see where the walls were scarred by cannon ball hits. Another gate to the fort was built at the top of a slope, after a sharp turn, its aim was to stop the onslaught of elephants by an enemy. Clever thinking! 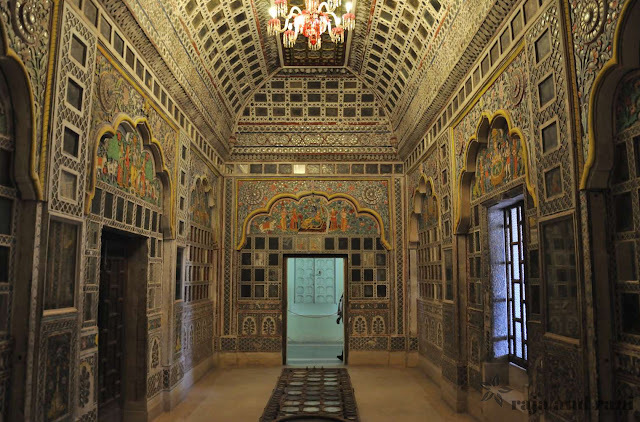 Once inside, the fort is a network of stone latticed courtyards and palaces, all fine examples of Rajput architecture. Within the fort complex there are several small palaces all beautifully decorated. 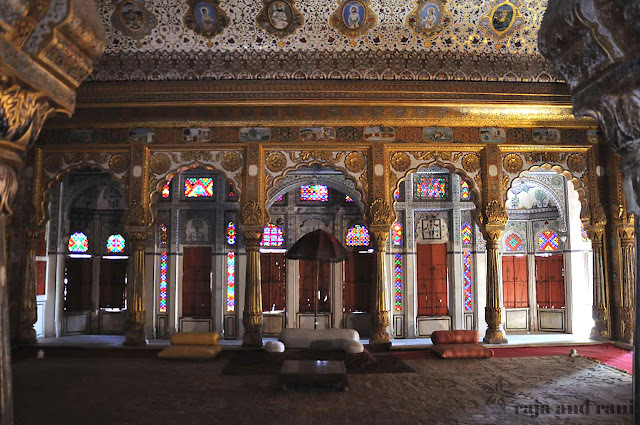 Rooms such as the Phool Mahal (Flower Palace) are adorned with delicate gold leaf design using over 80kg of goldplate! With the sun shining into the room through the brightly coloured stained glass, you can just imagine how this room would have looked during the Maharaja’s reign. 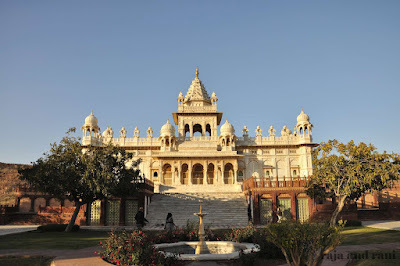 After wandering around the fort for a few hours, we had a Rajasthani thali lunch at the lovely Café Mehran and then headed to nearby Jaswant Thada. This is a memorial to Maharaja Jaswant Singh II and has superb views across to the fort. The brilliant white marble structure looks stunning in the sunlight and has intricately carved wooden doors and lattice work on the windows. The sun had started to set on the glorious fort as we made our way down from the dizzying heights of the hill. I looked back from the rickshaw and smiled, reminding myself of being fortunate to have experienced yet another day so full of history and grand opulence.